Some folks seem to have the magical ability to get to the airport with just the right amount of time to breeze through check-in and immigration and minutes to spare before boarding time. But there are moments when you end up getting to NAIA super early. What to do with the free time? You can dine out! 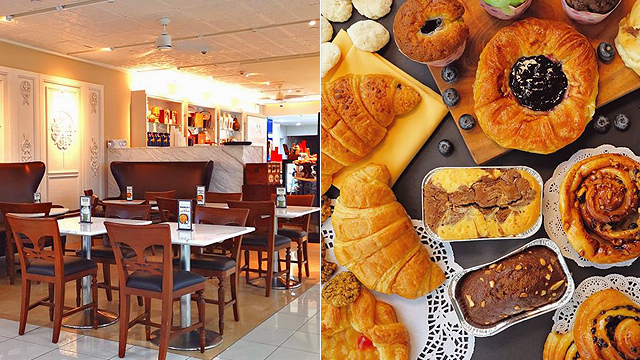 Lucky for you, NAIA's Terminal 3 has a lot of food options to satisfy your cravings. Gorgeous Manila Life Cafe by the Marriott Hotel almost makes you wish your flight would get delayed a bit just you can stay and take in their sleek, warm-toned interiors and photos of city life. It's also tucked in a corner all by itself, away from the frenzy of the rest of the airport. But, the real highlight at Manila Life Cafe is still the food. The Manila Sunrise Plate (P290) has everything you'd want to make even the earliest flight a little more bearable: Pork longganisa, tocino, sunny-side up eggs plus tomato and salted egg relish, pickled atchara, fried eggplants atop garlic rice. Those looking for something lighter should have the Pork Sisig Tacos (P330) with crispy chicharon, pickled onions and green chili, calamansi, and a creamy onion sauce. 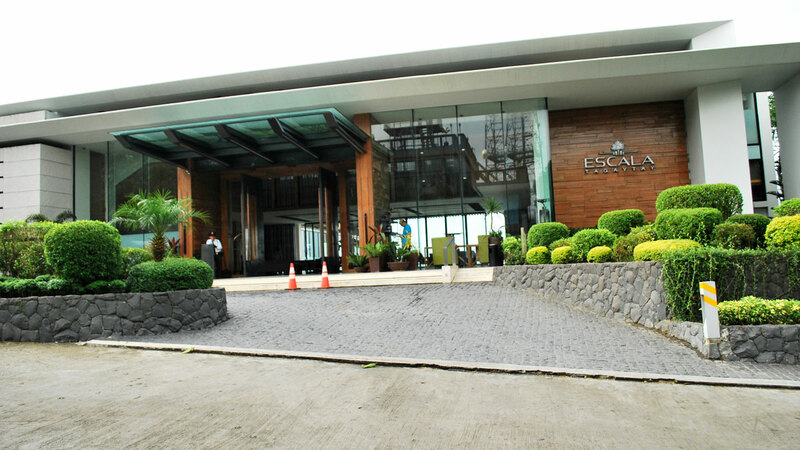 Manila Life Cafe is at Level 4, Terminal 3, Ninoy Aquino International Airport, Pasay City. At Zark's, you can pretty much throw all thoughts of dieting out of the window. 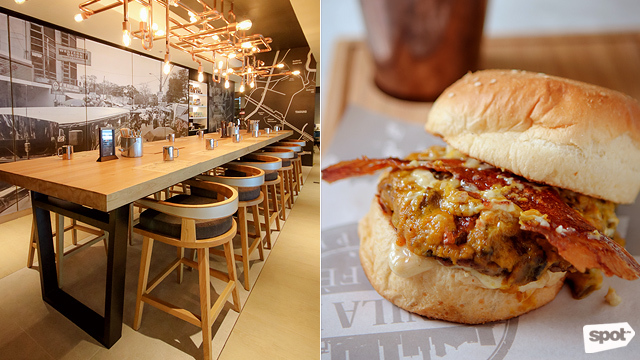 The burger chain takes your regular cheeseburgers up a notch with all the sinfully good stuff. Think burgers loaded with bacon strips, hefty beef patties, and even macaroni and cheese. The Zark's Classic (P119) is called that for a reason with a juicy beef patty, fresh lettuce and tomatoes, and cheese. Even bacon lovers will find the Deep Fried Bacon Wrapped Burger (P249) a challenge—though perhaps a welcome one. It's exactly what it says on the tin: An entire cheeseburger wrapped in deep-fried bacon strips. 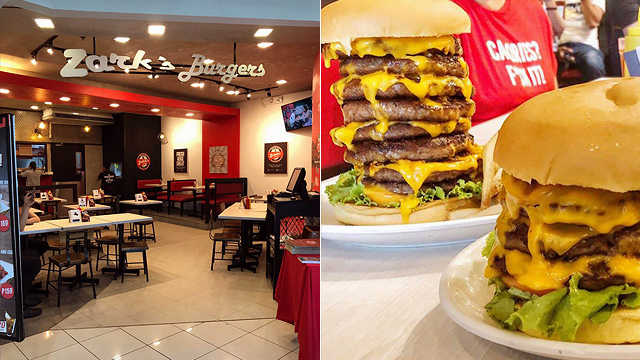 Zarkâs Burgers is at Level 4, Terminal 3, Ninoy Aquino International Airport, Pasay City. 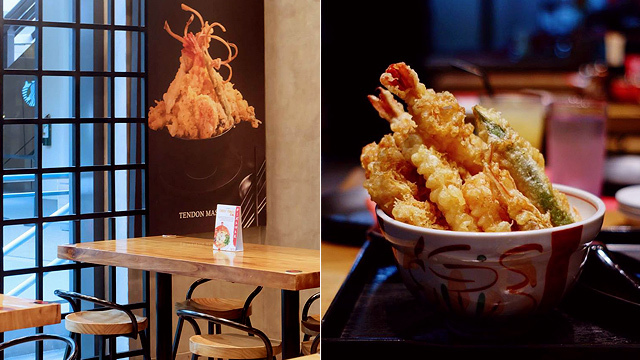 You can count on Tendon Akimitsu to satisfy all your tempura cravings. Their specialty, after all, is tendon—short for tempura donburi, this is tempura atop a bed of fluffy rice and bathed in a mildly sweet sauce that'll taste familiar to katsu fans. Shrimp isnât the only thing they deep-fry here: Get Mixed Tendon Set (P390) for a good mix of tiger prawns, fish, carrots, eggplant, and Shiitake mushrooms. Not in the mood for rice? You can also opt for their Soba sets, which will get you golden-fried tempura paired with tender soba, either hot (P390/Hot Soba) or cold with the soup on the side (P390/Cold Soba). Tendon Akimitsu is at Level 4, Terminal 3, Ninoy Aquino International Airport, Pasay City. Sharing the space with Tendon Akimitsu is sister-restaurant Ramen Nagi. Everyone already knows about their Kings—these thick, uber-rich ramen with tender ramen noodles. The signature pork broth-based Butao King is a runaway favorite though some prefer the spicy kick of the Red King. But Ramen Nagi also has other Japanese staples that are not to be missed, like the Chicken Karaage—the Original (P250) is already chock full of flavor, but there are other exciting flavors to try like Curry (P270) and Matcha (P290). 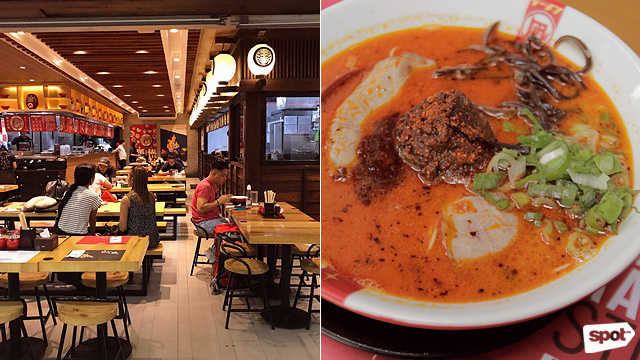 Ramen Nagi is at Level 4, Terminal 3, Ninoy Aquino International Airport, Pasay City. Unless you've been living underneath a rock, you've most likely seen these doughnut stalls all over Manila. But Mister Donut stores that carry savory items like sandwiches and pasta are rarer—and one of these special branches is at NAIA Terminal 3. 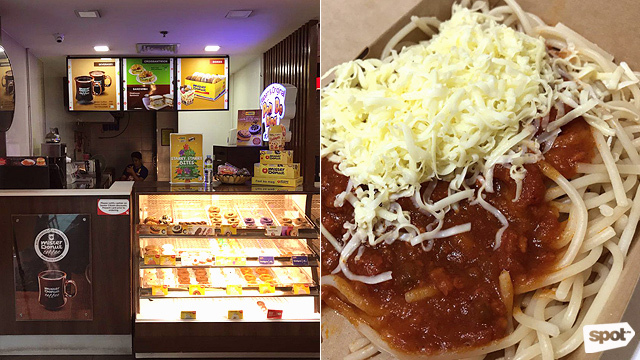 This is your chance to try Mister Donut's lesser-known but arguably better-than-their-doughnuts items like the Cheesy Meattie Spaghetti (P80), which made it to the top spot of our Top 10 Pinoy Spaghetti list. Mister Donut is at Level 4, Terminal 3, Ninoy Aquino International Airport, Pasay City. Right above the check-in counters of Terminal 3 is M Boutique, a chic hangout where you can enjoy a snack before your flight. Choose from sumptuous savory bites like Tinapa Empanada (P95) with smoked fish inside a flaky pastry or a Pinwheel Beef Sandwich (P250) with roast beef between rye bread. 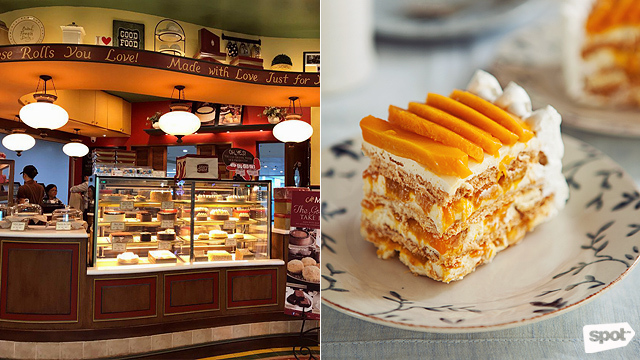 You can also indulge your sweet tooth with macarons, cakes, and more. M Boutique by Manila Hotel is at Level 4, Terminal 3, Ninoy Aquino International Airport, Pasay City. For a quick Filipino breakfast any time of the day, you can count on Tapa King. 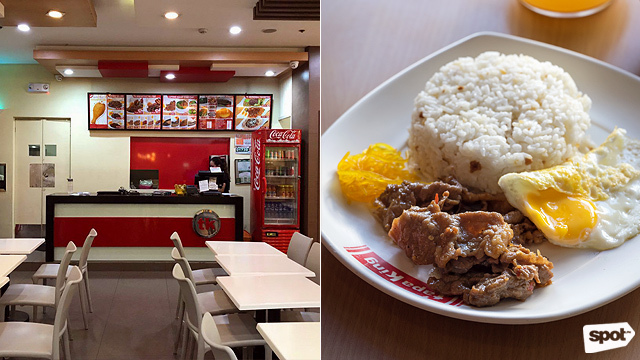 Of course, tapa is the star here: You can choose between their signature Tapa King meal (P54) which comes with garlic rice and a fried egg or the sweet-spicy Tapa Queen (P54) which is a surprise runaway favorite. There are other Filipino comfort dishes, too, like Beef Pares (P54) and Crispy Pork Adobo (P54). Tapa King is at Level 4, Terminal 3, Ninoy Aquino International Airport, Pasay City. 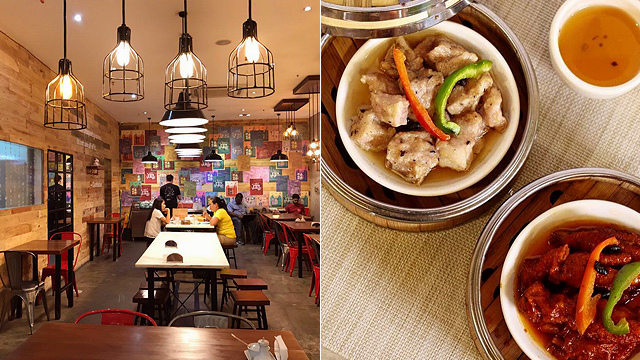 The colorful, modern interiors of Mongkok Bistro will most likely draw you in first, but you'll stay for the sumptuous dim sum at budget-friendly prices. They've got pretty much all the Chinese staples covered: You can feast on light fare like Mongkok Siomai (P95) and Pan Fried Shanghai Dumpling (P95). Their bestseller, though, is the Seafood Fried Noodles (P300), crispy egg noodles topped with a mountain of scallops, shrimp, vegetables, and more. Mongkok Bistro is at Level 4, Terminal 3, Ninoy Aquino International Airport, Pasay City. Need a quick cuppa right before your flight? 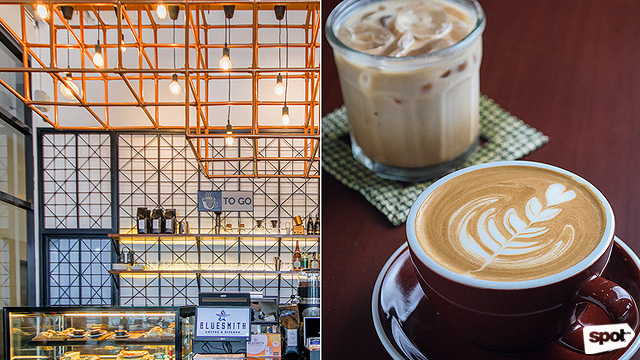 Bluesmith Coffee just opened their NAIA Terminal 3 branch at International Departures, right after immigration and security. Enjoy a warm Latte (P140) with delightful hints of chocolate or cool down with an Iced Dirty Chai (P160). If you've got time to spare, treat yourself to a delectable Dark Choco Churro Waffle, each bite packed with bittersweet flavor. Bluesmith Coffee is at Level 3, Terminal 3, Ninoy Aquino International Airport, Pasay City. Even at NAIA Terminal 3, Cafe Mary Grace keeps the quaint, cozy, home-of-your-favorite-tita vibe of all their other branches. While waiting for your flight, treat yourself to ensaymada or their famous Cheese Rolls with a cup of their Traditional Hot Chocolate—which, by the way, made it to our Top 10 Hot Chocolate list. If you have more time to spare, you can also opt for any of their excellent pasta and pizza. Plus, they've got a fast WiFi connection, too! Cafe Mary Grace is at Level 4, Terminal 3, Ninoy Aquino International Airport, Pasay City.